Want to be notified of new releases in linuxserver/docker-duckdns? 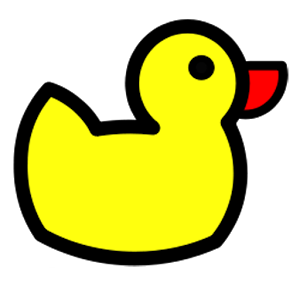 Duckdns is a free service which will point a DNS (sub domains of duckdns.org) to an IP of your choice. The service is completely free, and doesn't require reactivation or forum posts to maintain its existence. Simply pulling linuxserver/duckdns should retrieve the correct image for your arch, but you can also pull specific arch images via tags. -e LOG_FILE=false Set to true to log to file (also need to map /config). -v /config Used in conjunction with logging to file. 08.02.19: - Update readme with optional parameters. 10.12.18: - Fix docker compose example. 22.08.18: - Rebase to alpine 3.8. 08.12.17: - Rebase to alpine 3.7. 28.05.17: - Rebase to alpine 3.6. 09.02.17: - Rebase to alpine 3.5.